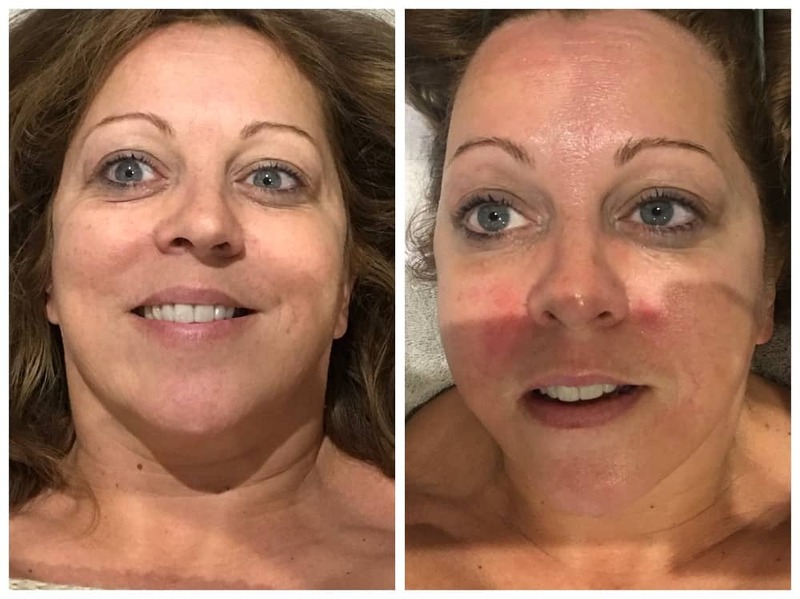 Muddy tries CACI facial toning at Calmingales in Yattendon – the non-invasive alternative to filler and botox that's adored by the A-listers. I’ve had many, many wonderful facials – some that take a few years off my dial, and others that simply make my skin glow. I’ve never had a bad one! But now that I’m in my *ahem* 40s, the desire to hold back the years is strong. So I’m road testing CACI Synergy Non-Surgical Facial Toning. Nicknamed the non surgical facelift, it’s a red carpet favourite of Jennifer Lopez, Linda Evangelista and Madonna. It’s good for all ages and complexions but it’s secret power is in zapping wrinkles, smooth glowy skin. Berkshire’s best kept secret… Calmingales can be found in Adam & Eve Hair, Yattendon. Calmingales Beauty is a a bit of find, to be honest. It’s a brilliant salon run by Gemma Waller in Yattendon hair salon Adam & Eve. 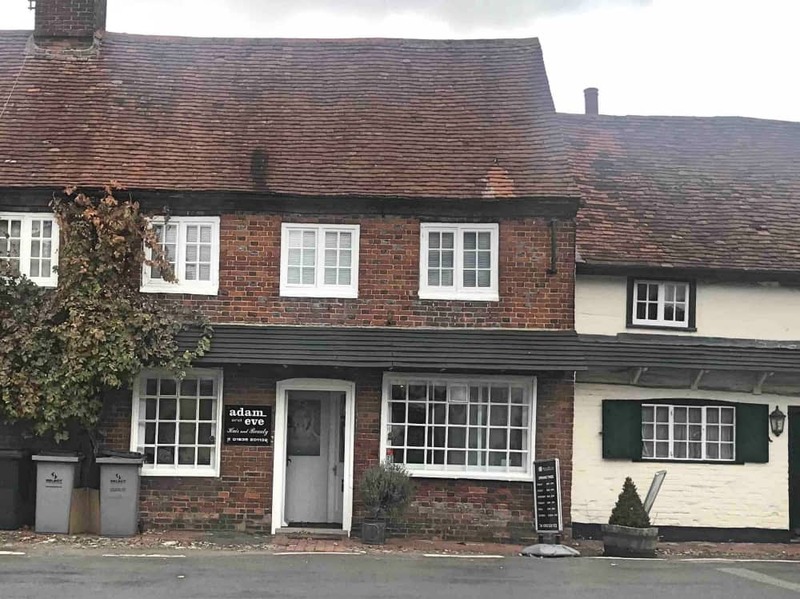 If you’ve not been here before, Yattendon’s a pretty village just 10 minutes north of Newbury (close to the A34 and M4), with ample free parking, a Muddy award-winning pub The Royal Oak and cafe The Pantry. 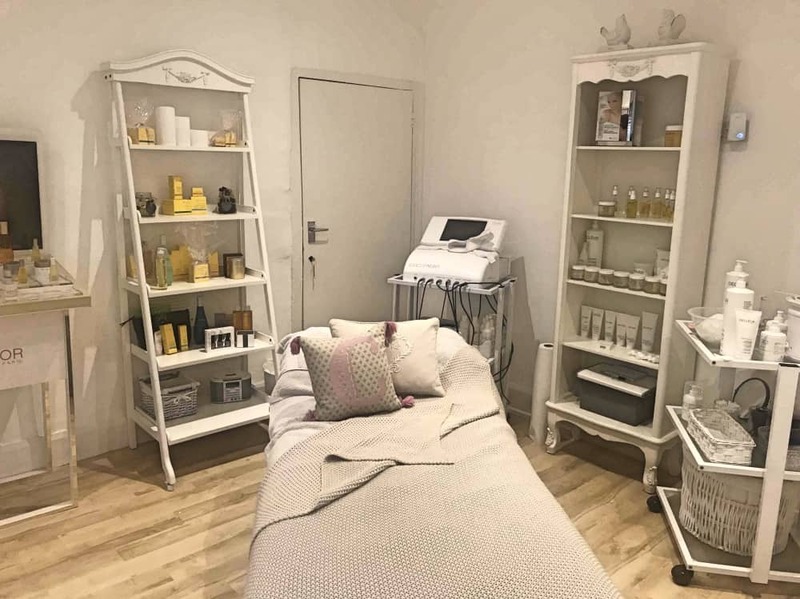 Calmingdales is on the first floor of the salon and the treatment room is large, light and airy – with shelves lined with lotions and potions, mirrors on the walls, plus the softest treatment table I’ve ever had the pleasure of lying on. Like a calming mini spa. It’s quite refreshing to be in a space that you can swing a whole menagerie of cats. Gemma is particularly smiley and natural and would put most people at ease. She’s also beautiful. I may have developed a bit of a girl crush. 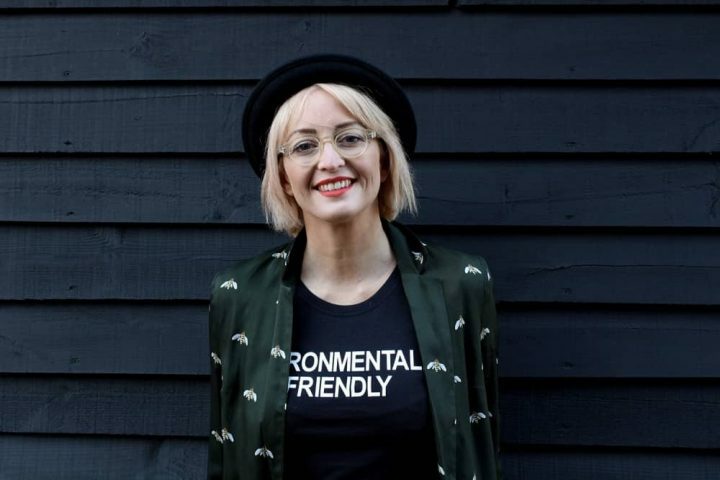 But perhaps most importantly, she’s a highly-experienced facialist and a skin fanatic having worked in many of the top spas, so she really knows her stuff. CACI Non-Surgical Facial Toning is a non-surgical facelift using electricity instead of chemicals. 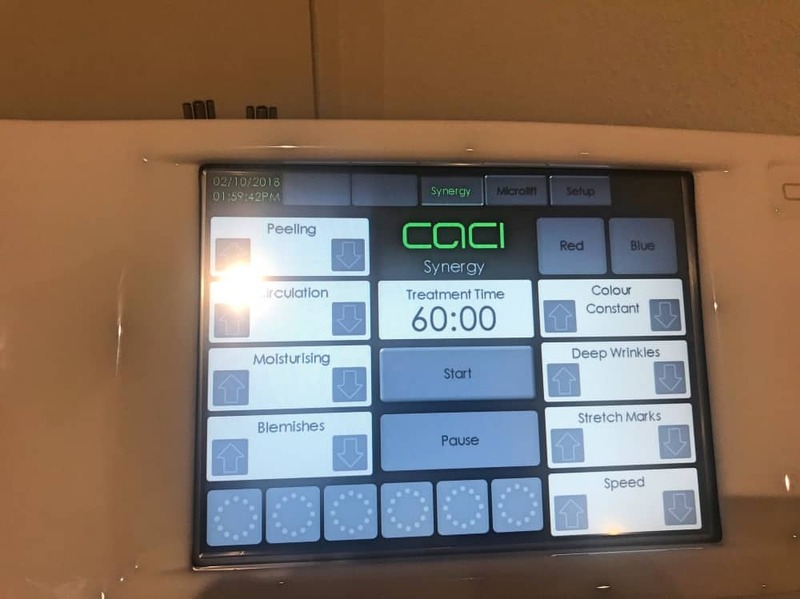 CACI (Computer aided Cosmetology Instrument, useful for a pub quiz) delivers a low-level zap of micro-current and blue and red LED lighting to stimulate collagen production in your skin, for an anti-ageing effect. Basically the 32 muscles in your face are poked, prodded and given a kick up the arse to tone up. If only it could do the same elsewhere. Get the wrinkle comb out and you can say bye bye lines, hello youth. No needles, nothing invasive, no Botox just a natural (OK electric) boost. I love it already. A facelift would set you back the best part of £10,000, so at just £60 per treatment, it’s a fraction of the price of more invasive treatments. Facial workout… strength and conditioning for the face using the many CACI instrument of torture. Don’t go in expecting a relaxing ritualistic treatment, where you can catch some zzzz. This is a results driven treatment, aided by an electric contraption which works to improve the skin texture. It’s not painful, by any stretch. but you feel a little tingle while the machine works miracles – noticeable but not uncomfortable. 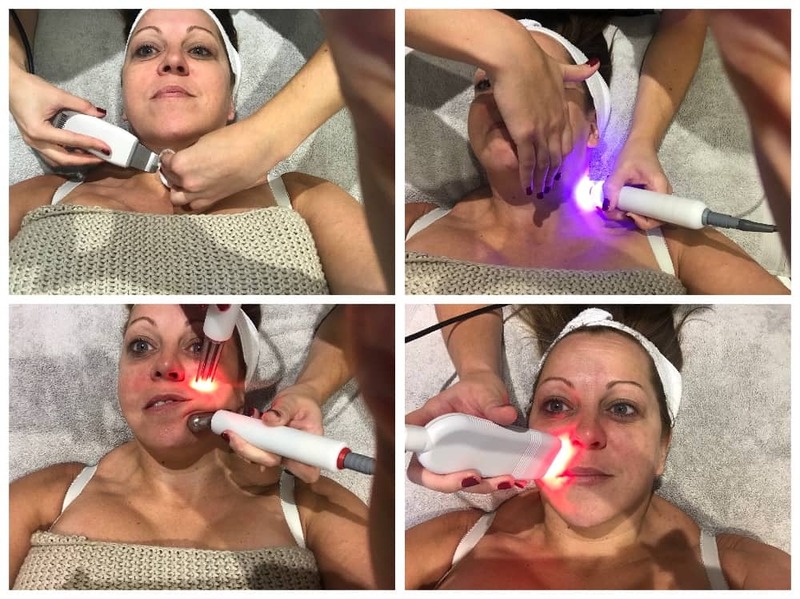 What I loved about the treatment is that you can target specific problem areas if you didn’t want to blast your whole face – focussing on jowls or eyes. Although, to be honest, in my case I’ll take all the help I can get. 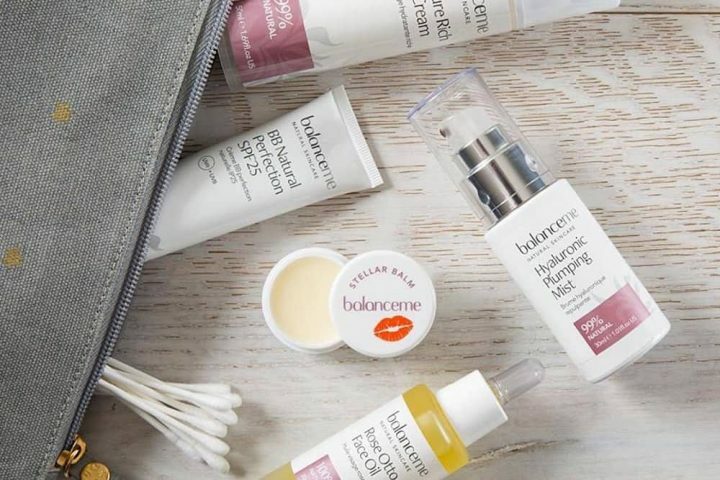 Originally developed in the US more than 2o years ago, it’s the ultimate medical facial, and after one session my dry, dull skin did look visibly plumper. I am actually pretty excited at the prospect of what could be achieved by committing to a full a course. But does it work? I head you cry. The answer is yes. Lots of Gemma’s clients pop in for a pre-party plump and glow, so one treatment can achieve red carpet ready results. 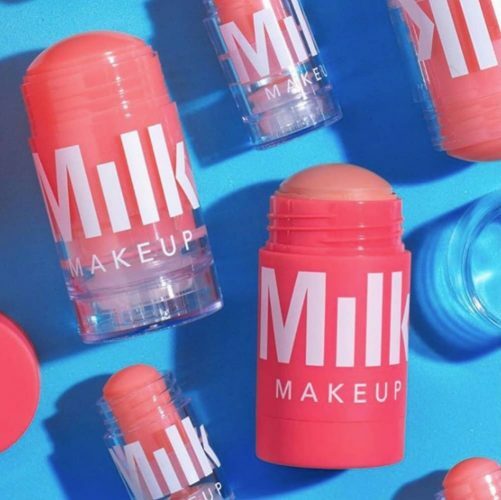 Just ask Jenny from the block, she swears by it. My skin was brighter, nicely plumped up and my eyelids, in particularly, drooped a little less. BUT for the full anti-ageing, wrinkle blasting elixir of youth, you need to do a course of 10 before you hit monthly maintenance. This is a considerable investment in both time and money, but I definitely think it’s worth it. You complete the 10 sessions over a period of 4/5 weeks and then top up every 4-6 weeks, just like a regular facial. In future I will definitely be opting for an anti-ageing facial to hold back the years, saving relaxing spa-like treatments as treat. It’s all about the results, baby. The Signature Non-Surgical Facial Toning is £60 for one or £540 for a course off 10 (with 10% off); Deluxe £75 for one or £675 for 10; Synergy £120 for one or £1,080 for a course of 10. But eye lift treatments are as little as £25. It’s on my Xmas wish list Mr Muddy, take note. Calmingales Beauty, Adam & Eve Hair, The Square, Yattendon, Berkshire RG18 0UF. Tel: 01635 201132.